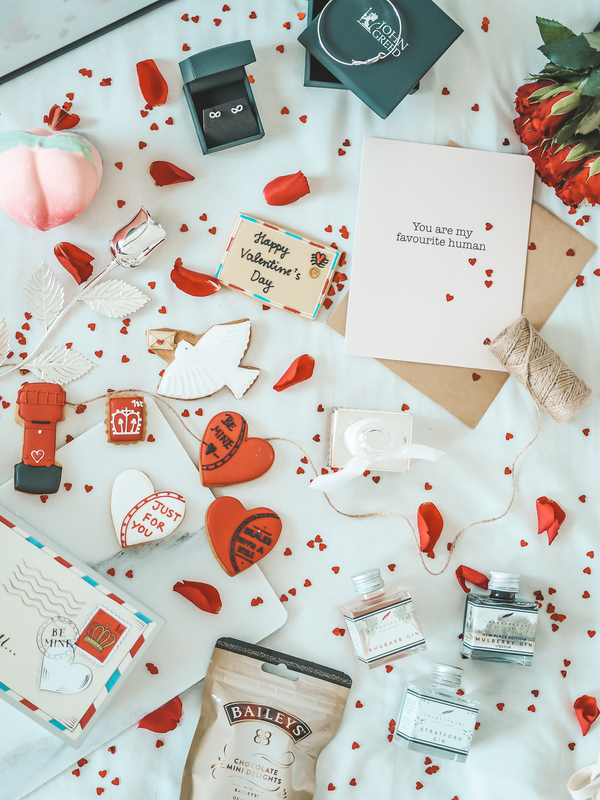 Valentines is just around the corner and whether you’re celebrating as a couple, with your gals for some galetines or simply treating yourself, here’s a jam-packed gift guide for any woman in your life. Every girl loves some flowers for valentines, but how about a flower that never dies? I’m in. 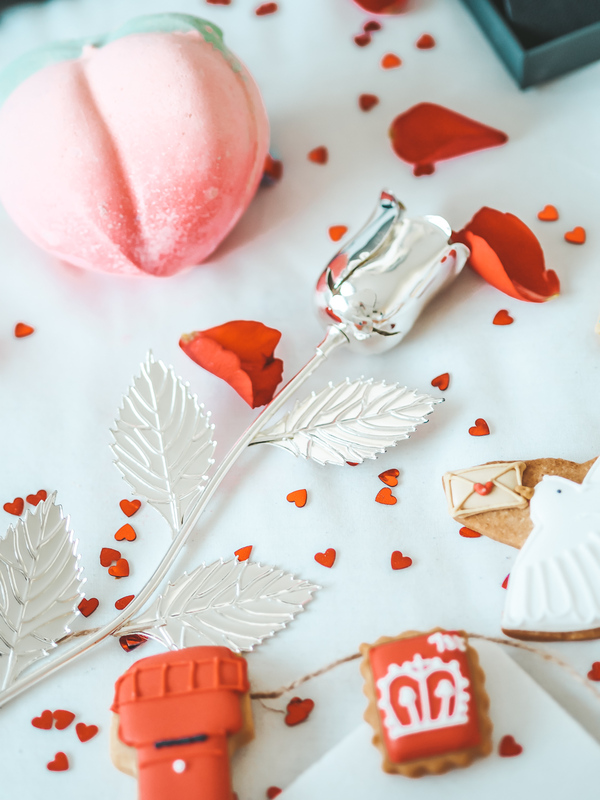 This silver plated rose from The Gift Experience is bloody gorgeous and is bound to be a crowd-pleaser. It’ll last a lifetime and has the personal touch of adding a personalised message to it too. 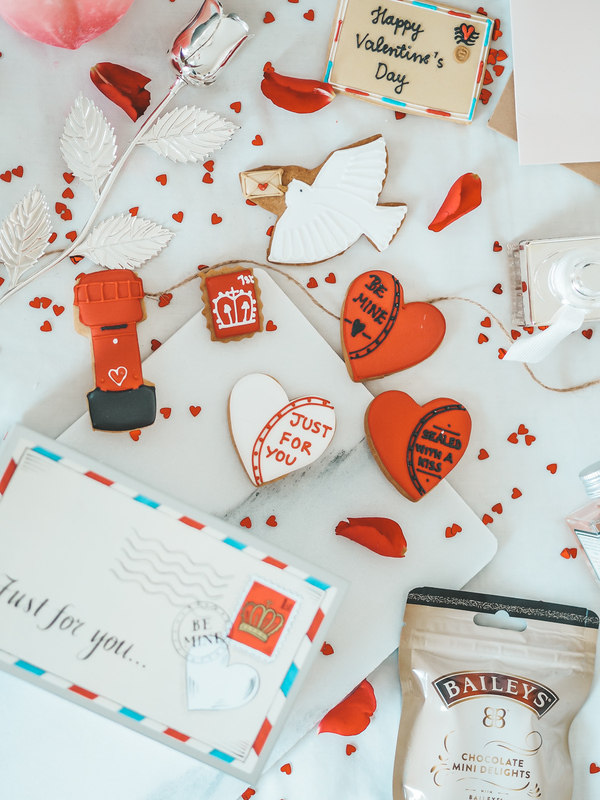 Baths are the ultimate treat, especially if you’re opting to spend Valentines with some well-needed self-care. Lush have the best Valentines range this year. My favourite pick of the lot is the Peachy Bath Bomb. Created to look just like the peach emoji, this bath bomb fizzes away releasing the sweet scent of peaches and grapefruit and leaves your bath a beautiful pink. It’s always fun to celebrate these occasions with a bit of booze. I’ve been loving exploring different flavour gins at the moment so the Shakespeare distillery gin gift set is perfect. 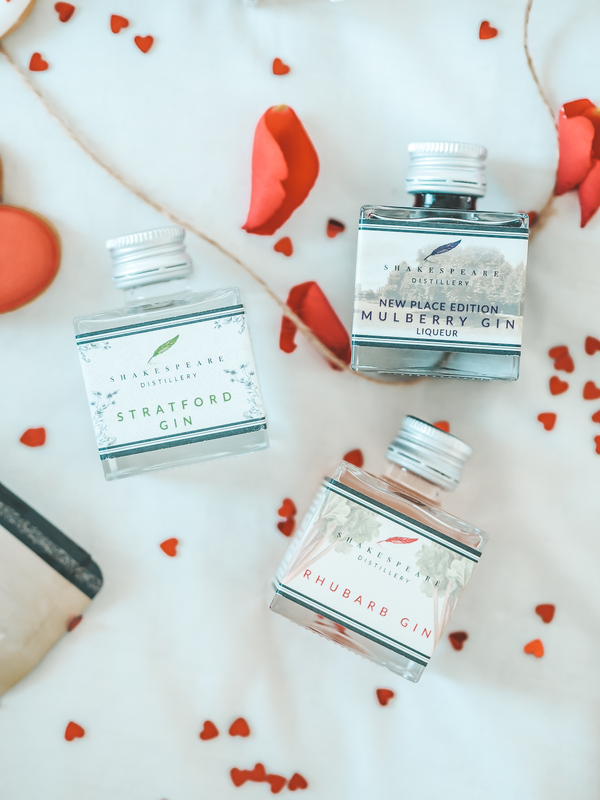 This set has 3 mini’s – Stratford gin, Mulberry gin and Rhubarb gin and is ideal for those who want to try some new gin flavours. 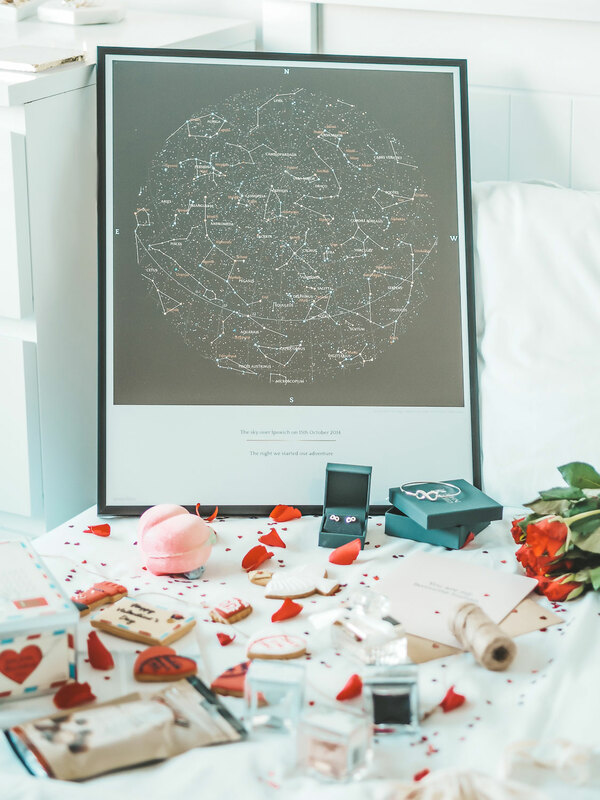 I came across greater skies last year and knew it had to be included in my Valentines gift guides. 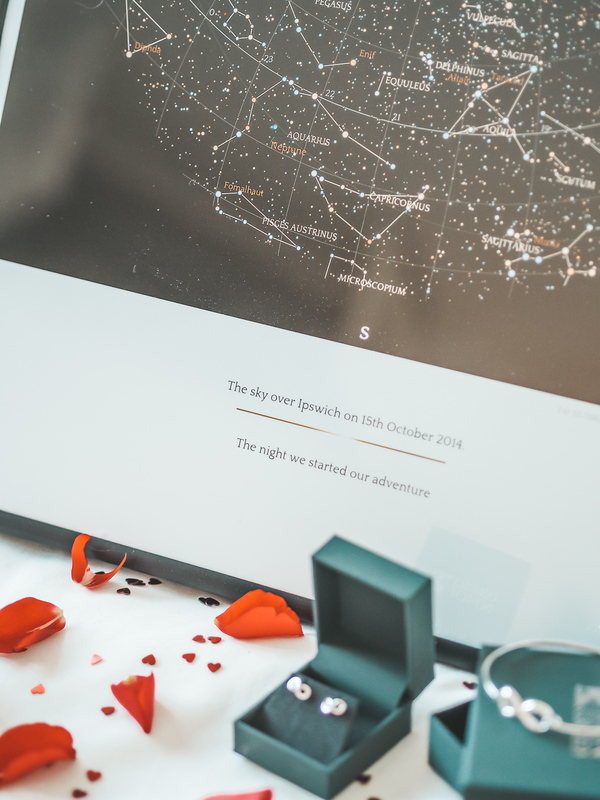 Greater skies create personalised star maps from your chosen date in history. Is it not just the most romantic thing ever?! Not only do they make a beautiful piece of decoration, this is a present that has massive sentimental value. 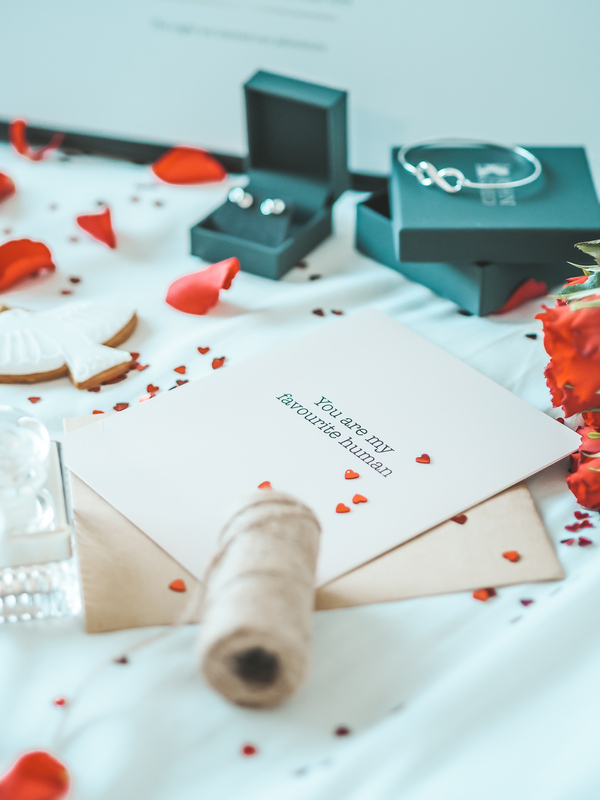 I feel like jewellery is an obvious choice for valentines, but if you do it right, you can do it really right. 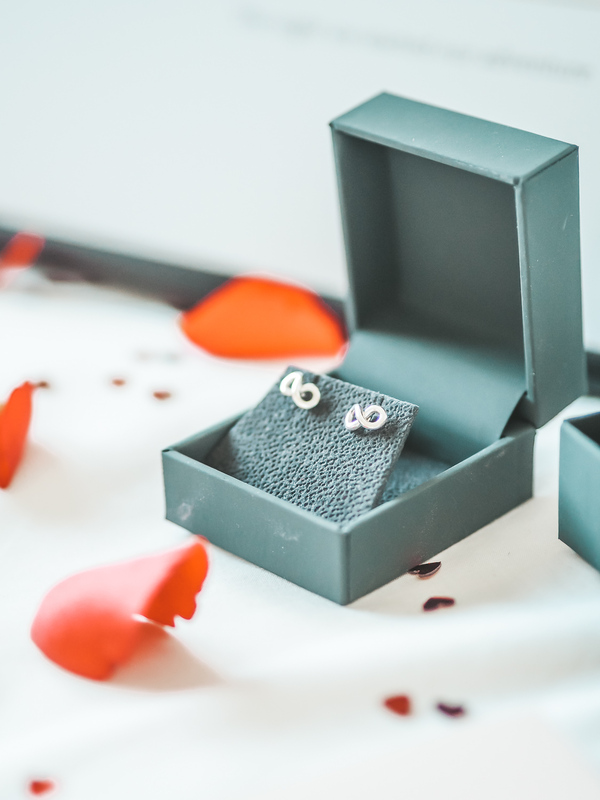 Rather than your typical jewellery go for a piece that shows a bit of love. 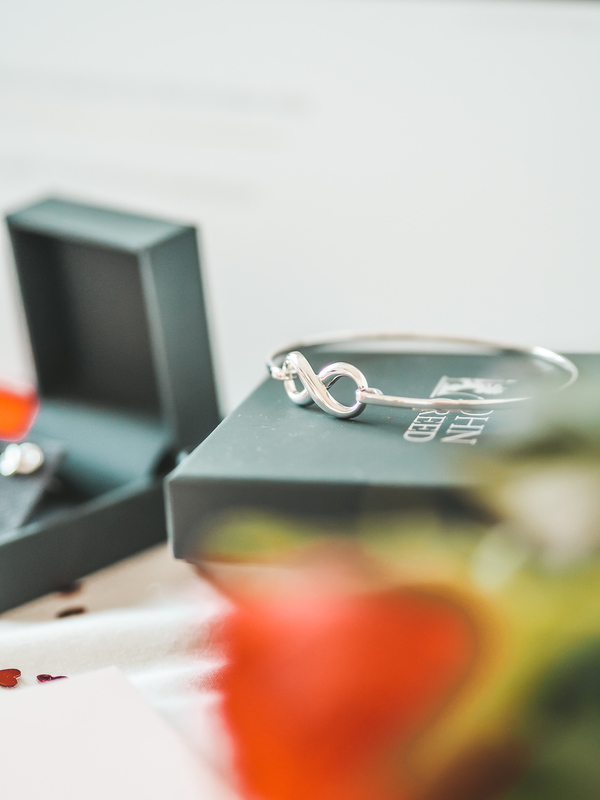 I love the infinity bangle and the matching stud earrings from John Greed. I’m always looking to expand my perfume so collection, so a good smelly is always a good shout! 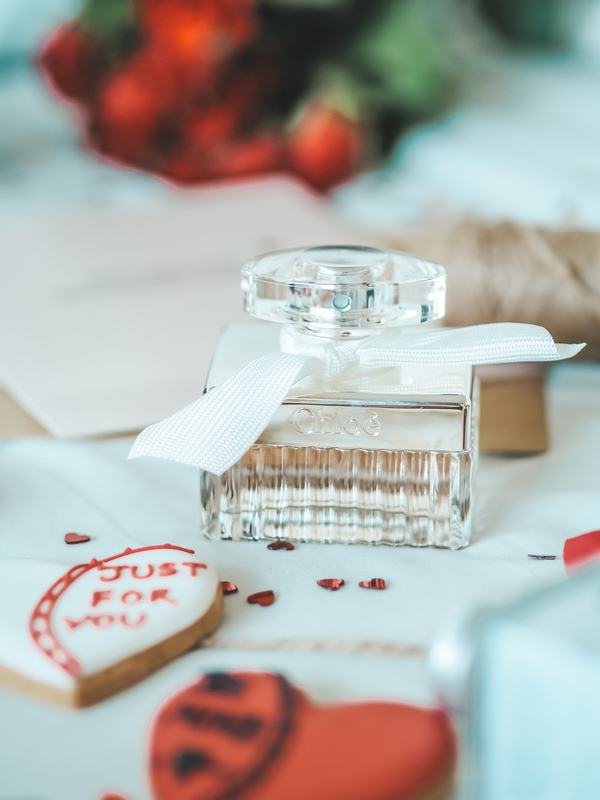 My current go-to is Chloe which is a light, floral and feminine scent. 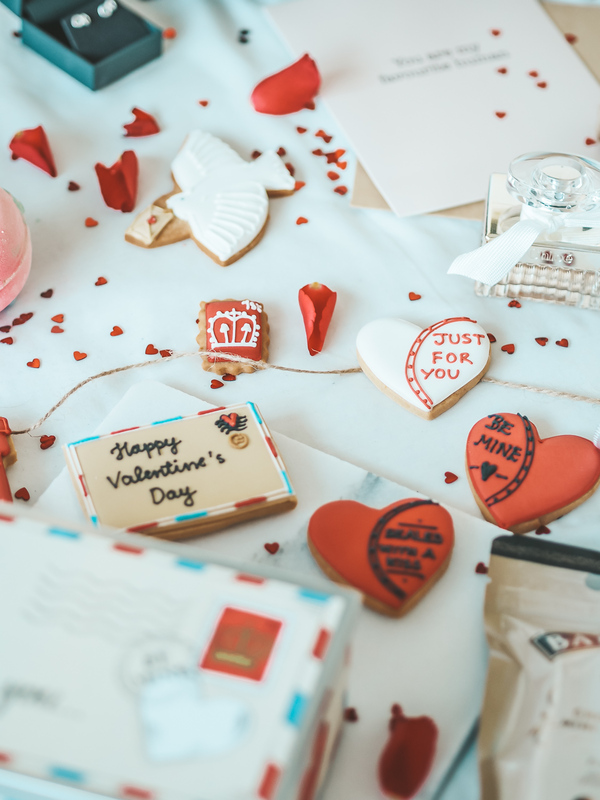 How are you spending Valentines this year? With a loved one? With your gals? 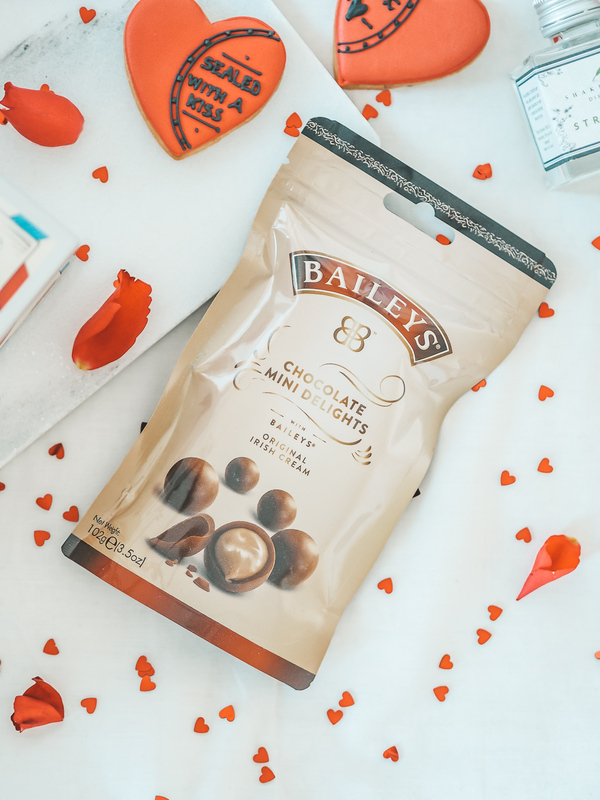 Or are you treating yourself?